Are you curious to know the most common issue that I hear about from clients, and from listeners who write in? It’s communication – or, rather problems with communication. Whether it’s being heard, or feeling like you have no idea where your partner is coming from, or you’re trying to communicate one thing but your partner hears something completely different, or you’re always being criticized – the list of potential communication problems goes on and on. 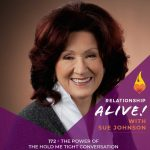 Fortunately, today’s guest is going to help you take a monumental leap in the direction of communication that creates growth and connection in your relationship – and in how you communicate with others in general. Today’s guest is Marty Babits, contributor to Psychology Today, and Co-Director of the Family and Couples Treatment Service, a division of the Institute of Contemporary Psychotherapy in NYC. 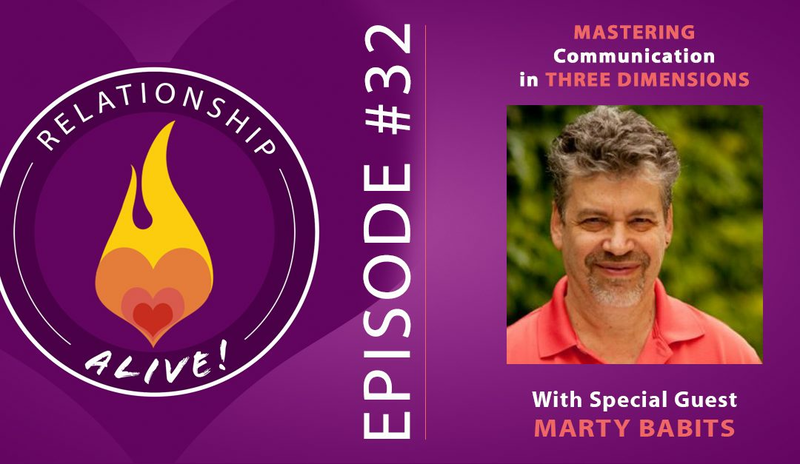 Marty is also the author of the extremely helpful book, “I’m Not a Mind-Reader – Using the Power of Three-Dimensional Communication for a Better Relationship”. 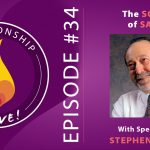 Marty has been working with families and couples for over twenty-five years, and the wisdom in this book combines that experience with the work of many of the guests who have been here on the show, to create a manual for communication that will give you a completely new perspective on how to do it well. 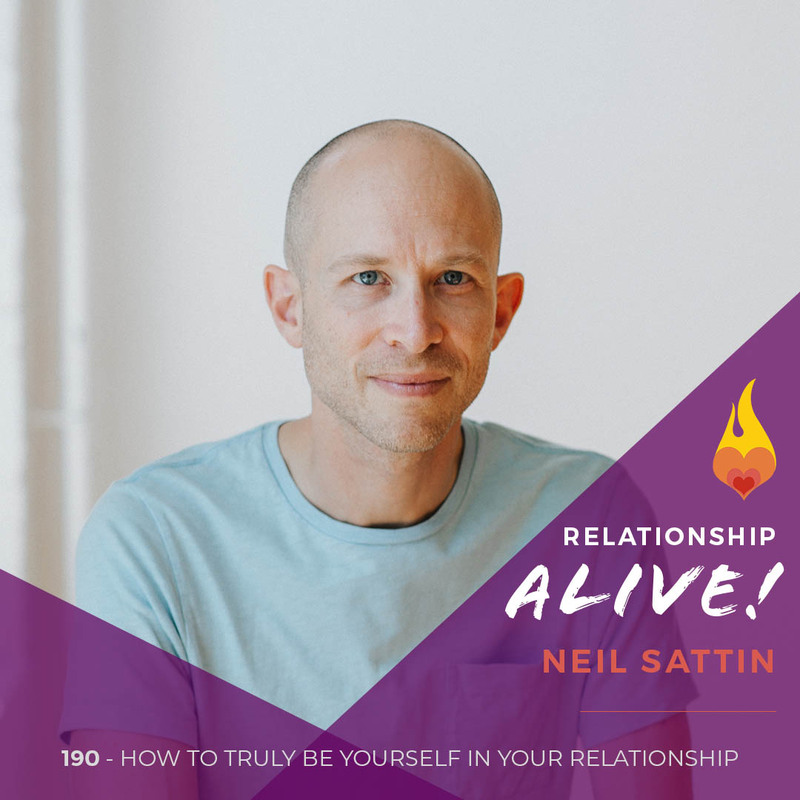 Prepare to dive deep into a recipe for communication that is sure to shift the results that you get as you interact with the world – especially the ones you love. 1st dimension– This is the literal meaning of what we say, or rather the surface meaning. This is where we can ask: are the messages clear and coherent? 2nd dimension- This is the meaning that is under the surface, aka the emotional subtext. This dimension is often more complex and it includes the way we are thinking about the way we are. It is in this dimension that love comes through, or contempt. 3rd dimension- This is the deepest and most profound dimension of communication. It requires reflectiveness and mindfulness. 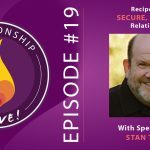 This is where we can take the pulse of whether what we are communicating is moving us towards creating emotional safety with our partner or away from that. Implicit in this dimension is our ability to monitor how the whole direction of the relationship is going. Try this: Pause in your next challenging interaction and take a mental snapshot in any given moment and compare it with what is happening 3 minutes later. This will give you a sense of the direction it is going and will help you practice being aware of what feelings, ideas, and tones are actually transpiring compared with those that you would like to be communicating or feeling. This willingness to become more aware of how we are showing up in our interactions is helpful in any kind of communication! Beginners mind- Foster your willingness to try something new on and a willingness to begin again! Maintaining openness can offer whole new vistas we may be currently unaware of. And that not knowing is okay! Allow yourself to forge ahead into unknown territory knowing that this risk is what it means to be human, and to evolve. The optimal prelude to conversation is invitation: Are you willing to be open to the possibility that you CAN have better interactions? As we learn over and over again, we can not force someone to feel, see, or hear our perspective- but we CAN invite them to do it. By inviting your partner to join you in conversation is to honor their sense of choice in how they enter the dialogue. This honoring leads to a sense that you respect their inner world, which then sets the stage for more openness and trust. Now the conversation can begin. Being safe is a prerequirement for making breakthroughs in intimate communication– This goes for ALL interactions, interpersonal, romantic, sexual, etc. In order to understand each other, people have to be open to each other, and in order to do this there has to be safety. Attachment theory suggests that our survival, and therefore our sense of safety, is dependent on the extent to which we do, or don’t, feel connected to others. Conversely, when we feel threatened (whether this is perceived or real) our autonomic nervous system goes into its fight or flight response, at which point we are not available or open for connection OR communication. Therefore, it is important to cultivate an awareness of how safe our interactions are. Get into the habit of asking yourself “is the way I am communicating right now contributing to an overall sense of safety in this interaction or is it distracting from it?” We all have the capability to activate the part of our neurobiology that is very highly attuned to interpersonal issues! Meaning, we each know how to connect and build empathy in our interactions, we just need to first learn how to be relaxed within ourselves and have the safety in order to do so. The power of the unconscious. We are each guilty the following: Your partner says something that makes you feel something, and you make an assumption that how you are feeling is connected to some truth about what your partner just said. This leap happens on an unconscious level. Invite yourself to consider the possibility that you may be misinterpreting! Sometimes we think we are reading our partner’s mind, but we have this unconscious tendency to misread their meaning depending on our own conditioning. This is important to remember as both the receiver/lister and the giver/talker. When you are speaking, bear in mind that your partner may be hearing you through their own lens- communication does not end when you have muttered what you want to say, rather it is a process that you must follow through on, noticing if what you said had the effect you intended. Listen three dimensionally! We are more than our words. Words can be profound, yet we are sharing lives not words. Remember that what people mean is more important than what they say. Although, there is a strong relationship between the two! With compassion, we can move ourselves towards fuller expression. This requires a rethinking of what listening is. Expand your sense of listening to include a listening in on your own internal voice so that you can remain aware of what you are thinking , feeling, and believing and how you are putting this together with what you are hearing from the other person. Then work on extending your awareness to include a consideration of what might be happening inside of the other person that may be producing the speech or the tone you are hearing now. This alive awareness of what is being said, how it is being said, and how it is being received helps move towards a communication that is open, flowing, and receptive enough so that the love that is needed can come through, and the sense of contact and connection is felt and genuine. A synonym for complexity is richness! In effort to rethink “working” in and on your relationship, it may be helpful to welcome complexity as richness. Together you can begin looking to create possibilities and new roads where you thought there were dead ends. Ask, “What else is possible in this moment?” and “What if this isn’t what i think it is?” These are the questions that make awareness three dimensional. You are aware of the problem AND you are aware of there being other possibilities. With 3D awareness it is as if you can walk around the problem- seeing it without totally being in it. Troubleshooting mode- how to turn the ship around. Okay, so let’s say you’re in a conversation and it is about to go south- what can you do? First, name it. Say something like “Hey, I think we are at that place we have been before, and I know what has happened in the past, do you think it is possible that we can try to do something different?”. Then, for example, you can say something like “I’m having that feeling again that we are going further away from each other- let’s take a brief break and resolve to come back again and approach this with a more positive attitude- because right now i am feeling a little hopeless and defensive”. These statements are founded on the belief that you CAN change the dance. To do so requires a plan, preemptively created, that can be used in tense moments. If you know that when one of you is triggered, voices often get raised then collaborate together when you are both regulated to set up a plan and a statement such as “hey babe, you must really be activated right now because you are raising your voice, let’s slow down”. Acknowledging each other’s autonomic responses without judgement, and having a plan that gives each other permission to calm back down helps to create emotional safety. This emotional safety is unavailable and often threatened when we are in up-regulated and triggered states. “Communicate don’t Debate”: You may be so accustomed to debate style conversations that you don’t realize any more how much energy is going into discussing who is right and who is wrong. Begin to notice how open you are to hearing each other. You do not have to agree, but you do have to agree to openly listen. The actual nuts and bolts decision making that is often fodder for debate will come easier as you develop your capacity to work things out without being deadlocked in not understanding each other. Often criticism is a veiled attempt at repairing a disconnection. This is a hard one to conceptualize, and even harder when we are in midst of hurt. And yet, the idea that criticisms can actually be a way for our partner to say they need to connect with you is a core principle in attachment theory. Of course it is not a great way to do so, nor is it very effective, but it does speak to the concept that our main motivation in communicating is to connect. When we feel we cannot connect effectively than we become frustrated, and this can come out looking like hostility. It is not necessarily hostility against the target person, even though it sounds like it, it is more about what is underneath- a pleading for connection. How does the fear of abandonment and loneliness show up in your interactions? How can you find ways together to say “I am here”, even in those messy and hurt moments? The predominant element in relationships is work, not magic. Mindreading, although so tempting and so habitual, is not advised. It is not the mindreading itself that is destructive, as much as it is the assuming that your (mis)reading is the truth. When we take our own readings as the way it is, we leave our partners feeling in the dark and misunderstood. 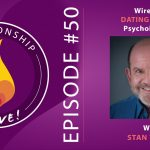 How you analyze or hold onto what you think your partner is thinking and feeling often becomes a critical aspect of the tone of your relationship. It can lead to resentment, frustration, hurt, and alienation. Although you likely know your partner very well, do not confuse this with having the ability to mindread- your assumptions of what are going on with your partner are often times NOT TRUE (especially if you are assuming the worst). Conversely, holding onto the attitude that your partner should automatically and intuitively “already know” is equally destructive and misleading. The golden rule is that YOU have the responsibility to help your partner understand what you are feeling. Express and share yourself in a clear way so that your partner can better give you what you want. Through a mutual commitment of 1) not mindreading and 2) not holding onto the “well my partner should have known” ideal, you will become partners, not adversaries. This is not to say that partners who are close sometimes CAN understand each other on a beautifully profound level, or that there are times when genuine unconscious communication does happen, but it cannot be expected or taken for granted. In general, relationships DO take work, especially when it comes to communication. 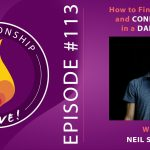 https://www.neilsattin.com/communication Visit to download the show guide, or text “PASSION” to 33444 and follow the instructions to download the show guide to this episode with Marty Babits and qualify for a signed copy of his book.